The demand for services provided by ChildServe continues to grow. The Children’s Habilitation Center (CHC) was in need of an overhaul, update and complete renovation. 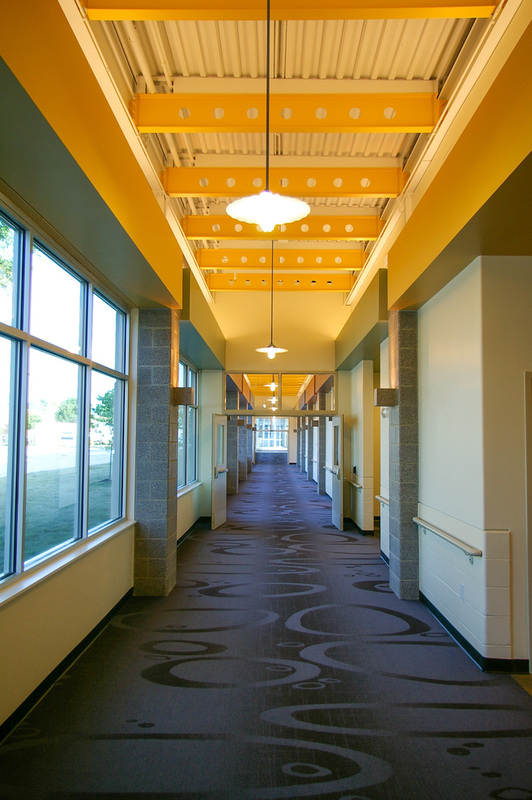 In a 2 part make-over the Hubbell Wing was completely renovated to create the Transitional Care Unit or TCU, which would be followed by the renovation of the Pomerantz Wing into the Continuing Care Unit or CCU. 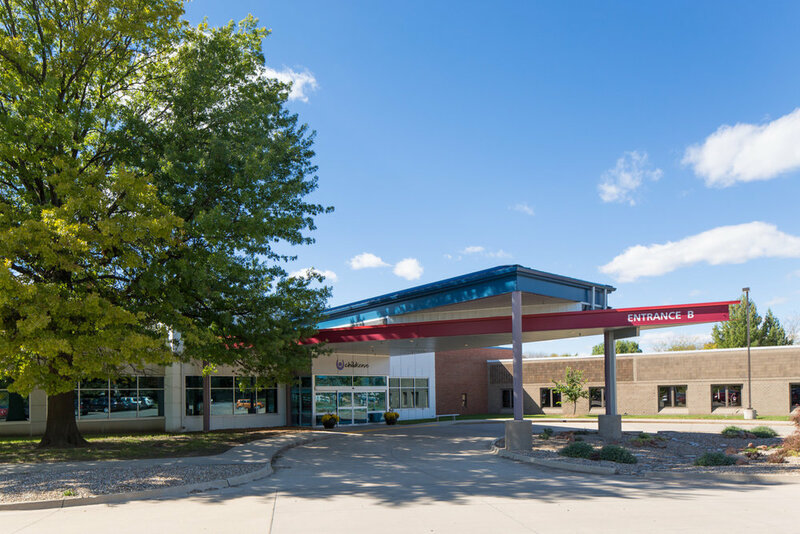 The TCU provides Pediatric Rehabilitation and Skilled Nursing Care, serving 20 children with transitional needs, recovering from an accident, or a new physical challenge, in an effort to ultimately transition them back home. 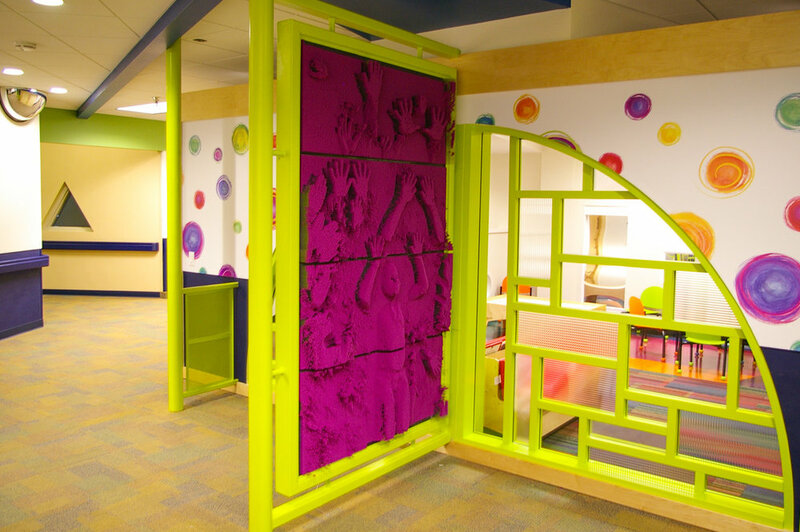 The CCU serves Children with permanent metal or physical challenges. The final step in the Campus Master Plan was to Connect the CHC (TCU & CCU) with the ChildServe Center. This addition includes offices and therapy rooms serving the children that are residents in the TCU and CCU. 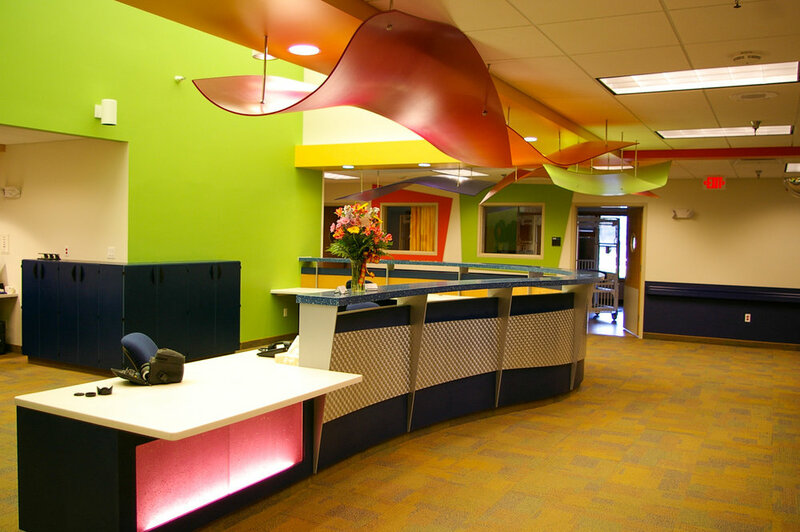 Playful interiors with bold colors emphasize ChildServe's focus on serving Children, without minimizing the intense services provided for these children every day. The Skilled Nursing Care rooms were renovated with the same attention to providing an environment that enhances physical and mental well-being. Finally a commercial kitchen and swimming pool were provided with another workshop for adaptive equipment design and adjustment of special equipment for children.